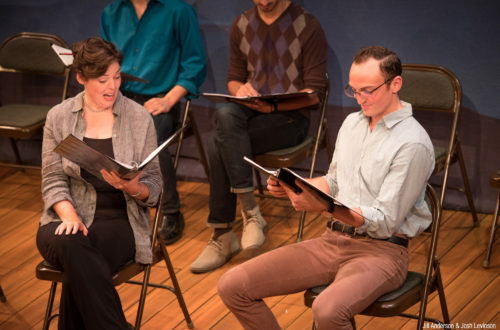 Barter Theatre's College Playwrights Festival is a one-cat playwriting festival dedicated to celebrating college undergraduate playwrights, giving them an opportunity to develop their work in a professional environment. The readings take place on Barter's Stage II. After each reading, a panel of professionals will give feedback on each play that playwright can use to further develop their piece. One play will be selected to be read the following weekend at Barter's Appalachian Festival of Plays and Playwrights. Schedule: Saturday January 19th and Sunday January 20th at 1:00pm, 2:00pm and 3:30pm. Visit Barter Theatre's website for more information.